Q. How do I search the Defiance catalog for books about a specific topic? 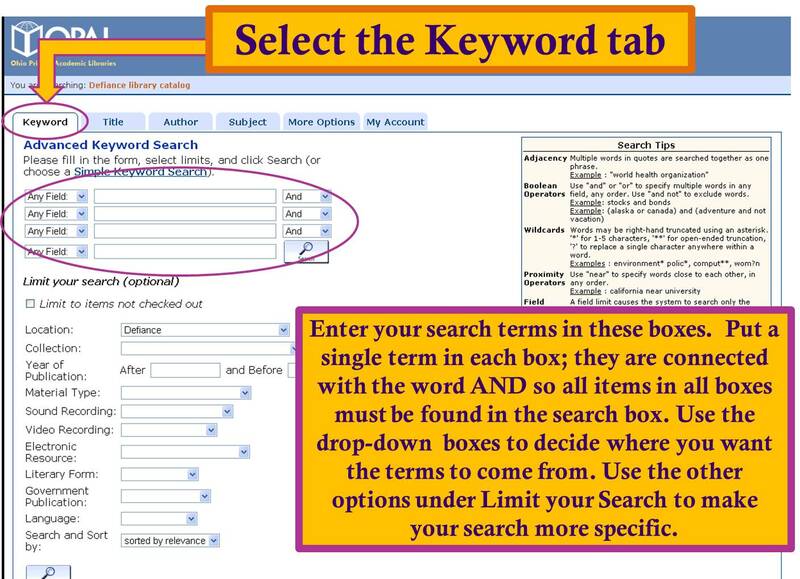 If you want to find books that are ABOUT a particular topic, you have two options for your search in the Defiance Catalog: Search by Subject or Search by Keyword. Subject searching is more likely to bring you back books that are truly about your topic; keyword searching is more likely to bring you back books that may mention your topic in passing.